Preparing or updating your resume is the important first step in your job search. Some of the employer’s officers who will approve or reject your qualifications will not participate in a selection interview and will only know you through your resume. Your resume has become much more important than when all of the parties took part in selection interviews and got to know you personally. Your resume must now speak for you. If you haven’t looked for a job recently you should know that the old rules about resumes have changed. To prepare a truly professional resume you will need to follow all the new rules which are revealed in the book outlined below. For more information about this important resume guide click on the link below. Now you know the new rules and how to apply them. Remember, as indicated in the book, it is all about searchable key words and measurable achievements. To help you format your resume use our RESUME BUILDER. Simply fill in all the blanks below completely. You can either print it out or copy and paste the information into your favorite word processing program. This will allow you to fine tune your resume’s appearance and save it for future use or submit it to us. Please list any professional certifications that you hold (e.g. - RN, CPA, MCSE, etc), Computer Software or other special or technical skills. Don't forget to cut/paste the resulting page into your word processing application. 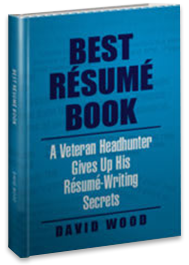 This will allow you to (1) save your resume and (2) improve your resume's appearance.